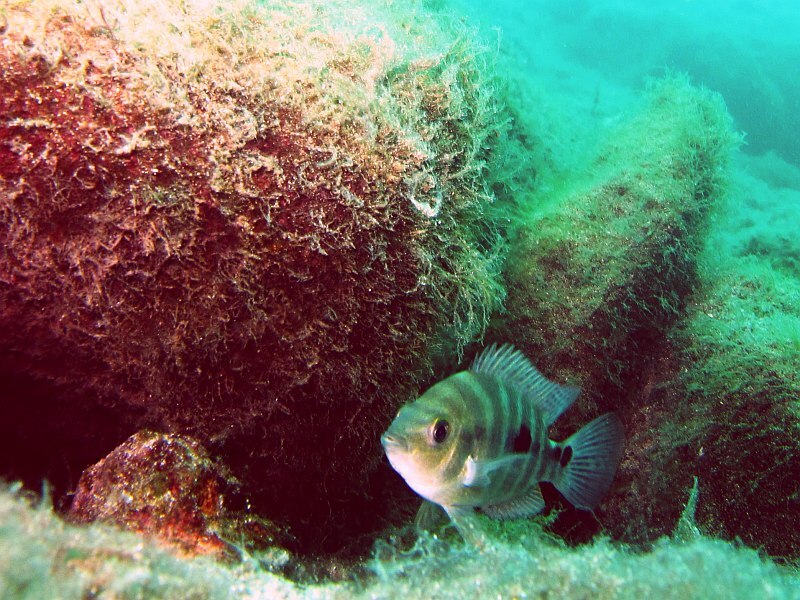 Lake Apoyo is populated by several endemic fish species. These fish species have all derived from the Midas cichlid (Amphilophus citrinellus) in Lake Nicaragua. 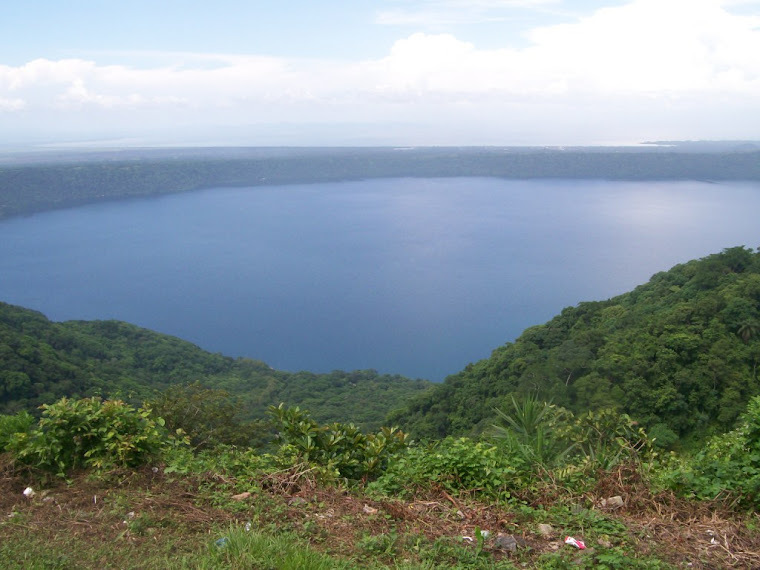 Being a volcanic crater lake, it is isolated completely from other bodies of water. 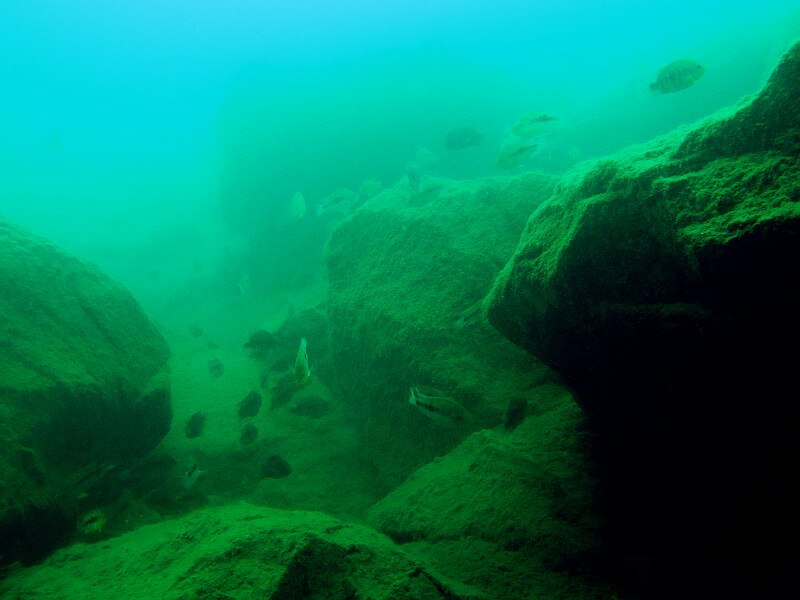 The first discovery of a fish endemic to Lake Apoyo occurred in 1976, while others have been discovered in 2008, and in 2010, and yet more are to be discovered. Estacion Biologica FUNDECI/GAIA conducts a monitoring program which keeps track of the fish populations and other environmental aspects of Lake Apoyo. Here is a photographic summary of the past week's monitoring, thanks to our SCUBA dive buddy Balazs Lerner, as he and our technician dive Laguna de Apoyo. How many species do you see in this photo? All the fish in this photo are endemic species from the Midas cichlid species complex. It was taken at about 35 feet depth (11 meters), in Lake Apoyo, while SCUBA diving. And yes, there are several species in this photo. 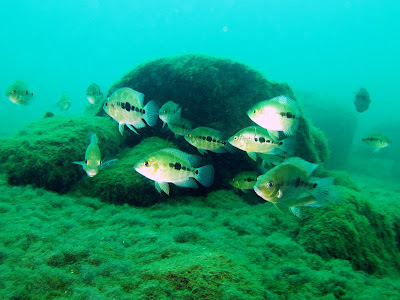 This season's breeding is just beginning in Lake Apoyo, but most of the fish in this frame have not begun breeding behavior. We count fish and nests monthly in the lake. 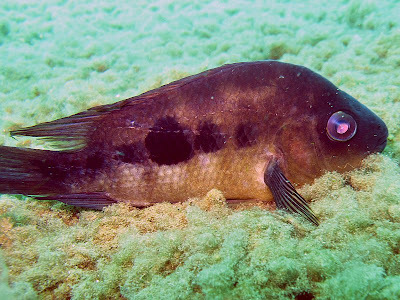 This is an excellent example of Amphilophus astorquii, the Little Apoyo Cichlid. It was named after Father Ignacio Astorquii, a Spanish biologist and Jesuit priest who dedicated his scientific efforts to the fishes of the Nicaraguan Great Lakes watershed, which includes Lake Apoyo. This fish is in basic (i.e. nonbreeding) coloration. A mixed-species school of Amphilophus cichlids. This fish suffers from cataracts, likely induced by parasite infection. We are monitoring the environmental health of the lake as well, as blindness is related the recent introduction of Nile tilapia (Oreochromis niloticus) into Lake Apoyo. Ascending at the end of another dive. Job well done! You can help us continue to discover and protect rare species of fish in Nicaragua by participating in our monitoring program as a volunteer or by making a financial contribution. You can accompany us on a monitoring dive (certified SCUBA divers, of course), also. The fish of Lake Apoyo are in danger of extinction, and your contribution to our efforts helps us inform the Nicaraguan government and international scientific community regarding the conservation status of these species. Please give (via PayPal) to our program! Thank you! 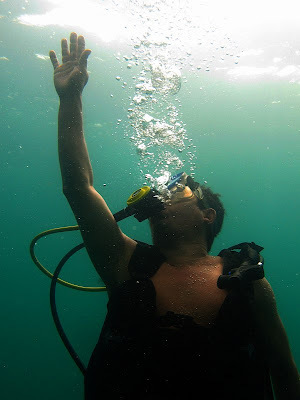 Contact us if you would like to SCUBA dive in Laguna de Apoyo: apoyo@gaianicaragua.org.